GIFT CARDS FOR SOME OF OUR VACATION AND LONG TERM RENTAL HOMES! Area: Myrtle Beach & Hilton Head, South Carolina************Identifier: GIFT CARD PURCHASE ONLINE FOR OUR RENTAL VACATION AND LONG TERM HOMES! Hilton Head & Myrtle Beach Home Rentals now has online gift cards for our rental homes that we own and rent in Hilton Head, Myrtle Beach and Garden City Beach, SC since 1994. These rental homes include: Ocean Park Resort #1208 2BR/2BA direct oceanfront condo (sleeps 6); Palace Resort #2013 angled oceanfront / oceanview 2BR/2BA condo (sleeps 6); Bluewater Resort #803 direct oceanfront 2BR/2BA condo (sleeps 8); 104G Sunset Dr. 2BR/2BA oceanview raised beach house (sleeps 8); new 126A Woodland Dr. 4BR/4.5BA raised beach house (sleeps 16); and our Hilton Head Island Beach & Tennis Resort #AR416 2BR/2BA condo (sleeps 6). We have made over $20,000 in renovations to each of the oceanfront condos we own and rent (AR416, Bluewater 803, Palace 2013 and Ocean Park 1208) and our new raised beach houses (104G Sunset Dr. and 126A Woodland Dr.)! Please click on our new Google vacancy calendar spreadsheet for all rates, discounts and vacancy of our vacation rentals we own and rent at: New Vacancy Calendar for All Condos and Houses to see vacancy, discounts, rates and virtual tours. For more information, discounts or reservations please click on About Us or Contact Us or call owner Stewart Hines at: 843-301-7203 or email: shines@hhirentals.net or shines@myrtlebeachhomerentals.com. Oceanfront Condos & Raised Beach Houses - up to 20% - 40+% OFF, Save Up to $300 to $600 OFF Weekly & Monthly Rates! Some Restrictions may apply. Call owner Stewart Hines at 843-301-7203 for possibly even lower discounts, if pay total amount due with credit card on same day you make reservation. 7 Night minimum Sat. to Sat. stay is typically required. Offer not valid on confirmed reservations or holidays and if not approved by owner - Stewart Hines. Prices subject to change without notice, and may increase as availability becomes limited. To purchase your GIFT CARD FOR VACATION OR LONG TERM RENTAL of our discount oceanfront 2BR/2BA condos or 2-4BR/2-4.5BA raised beach house rental for either: 3-night min. or weekly rental from Sat. to Sat. online in most currencies, simply click on the PayPal BUY NOW buttons above, and complete the secure encrypted PayPal Verified form. The gift card purchase will be applied to te weekly or 3-night rate. PLEASE CHECK THE CONDO OR HOUSE'S VACANCY CALENDAR WEBPAGE BELOW TO SEE IF YOUR DESIRED WEEK IS OPEN OR AVAILABLE BEFORE PURCHASING FROM THIS GIFT CARD WEBPAGE! For more information, rates, vacancy or reservations please call condo owner Stewart Hines at: 843-301-7203 or email: shines@hhirentals.net or shines@myrtlebeachhomerentals.com . Check In: 4:00 pm, Check Out: 10:00 am. Renter must be at least 22 with valid driver's license, family or couple, max. occupancy of 6-16 and no smoking, no groups and no pets. 3-night minimum stay between a Sat. to Sat. Rental weeks are from Sat. to Sat., as shown below or call owner for other stay dates. Enterance into our condo or house constitutes acceptance of our HOME RENTAL AGREEMENT between Owner and Renter. Condo or house is professionally cleaned before and after each stay. Clean linens and towels provided. Free use of gym, pools, jacuzzis, steam room, sauna, racketball court and discount golf. The discounted PayPal rate below is the Total cost including tax, cleaning and clean linens and towels. SEE CONDO / HOUSE AVAILABILITY AT OUR ONLINE VACANCY CALENDARS AT WEBSITE: Hilton Head and Myrtle Beach Home Rentals. All vacation rentals are: No smoking, no pets, no groups, renter must be a 1-3 single families max., and renter must be over 22 years old. 3-night minimum stay only from Sept. to March. Please click on Vacation Home Rental Agreement for our vacation rental home agreement. 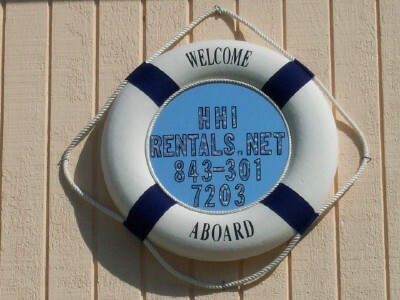 Weekly rentals only from April-September from Sat. to Sat. For more rental information or reservations, please call owner - Stewart Hines at 843-301-7203 or email: shines@hhirentals.net or shines@myrtlebeachhomerentals.com .